I've been involved in this industry for almost 20 years; working alongside realtors, contractors, designers and merchants has been an education unto itself. I've seen trends come and go, styles fade and circle back. I've learned the most invaluable lessons from mistakes I've made myself. One lesson I've learned: texture is key. The options are endless when it comes to textiles. When customizing chairs or sofas, rugs or draperies, I always reach for a textural fabric before a patterned one. Bold patterns can weigh heavily on the eye over time, but layering different textures creates visual and tactile interest in a more subtle, timeless way. Picture a bedroom with an upholstered headboard, bedding, pillows, draperies and a rug. Imagine your color tones of choice, layered in well-woven tweed, sheer linen, rich tones of mohair and velvet, wool and silk. Trust me, nothing is as luxe as well-chosen textiles in a variety of textures. Can you tell this is my favorite part of the design process? We work interesting, beautiful texture into every piece we put in your home. These gray chairs belong to a Modern Mountain home with an incredible view of downtown Denver. 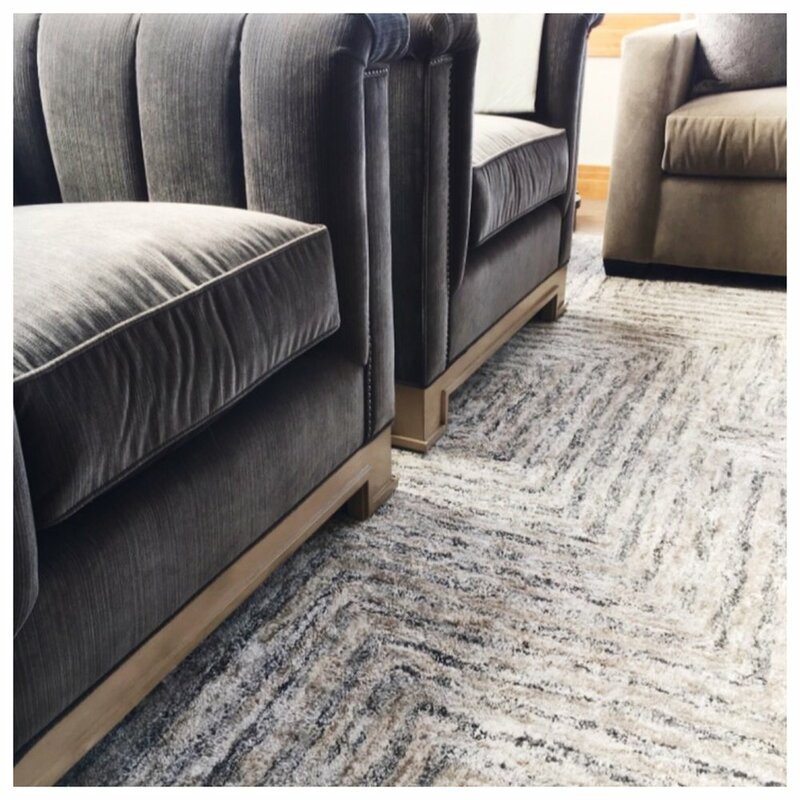 The charcoal gray velvet of these club chairs is upholstered with vertical channeling, isn't it great? These chairs don't need a heavy pattern, because of the texture they're interesting on their own and timeless because of it.